The day which will live in infamy, December 7th, 1941, is on full display at Pearl Harbor National Monument. It’s a remarkable and humbling story that nearly 2 million people per year come to see and learn. The Japanese attack that day changed America and the world forever. There is plenty to experience and learn about how the United States, after the devastating losses to the Pacific Fleet at Pearl Harbor, rallied together behind the attack and mobilized the industrial might of America and its citizens. There are basically four main attractions at Pearl Harbor displaying various facets of the war in the Pacific in the 1940’s. The Arizona Memorial pays tribute to the attack and the 1,177 crewmembers killed, 1,102 of them entombed on the ship today. The bombing of the ship accounted for nearly half of the 2,403 Americans killed that day. The USS Missouri Battleship is today a floating museum docked at Pearl Harbors Ford Island. The ship’s deck is were the Japanese Imperial Forces signed the documents of surrender in September of 1945. 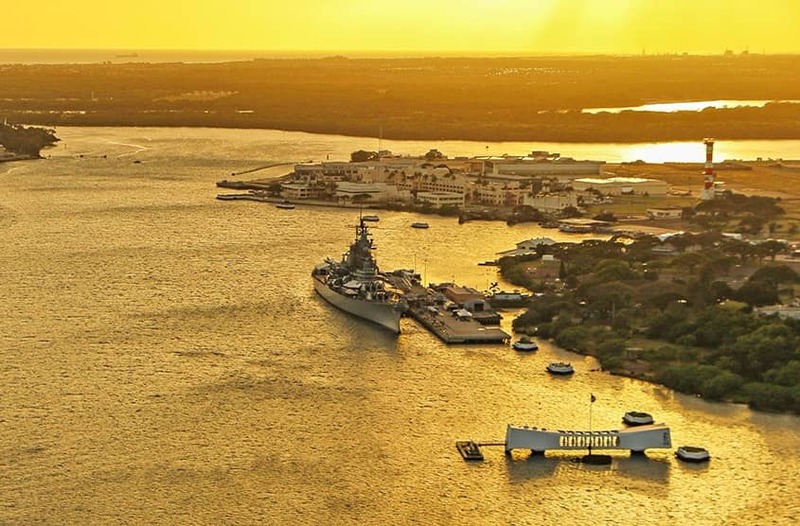 It is a fitting bookend to the war in the Pacific as the mighty battleship overlooks the Arizona Memorial, marking both the beginning and the end of America’s role in World War 2. 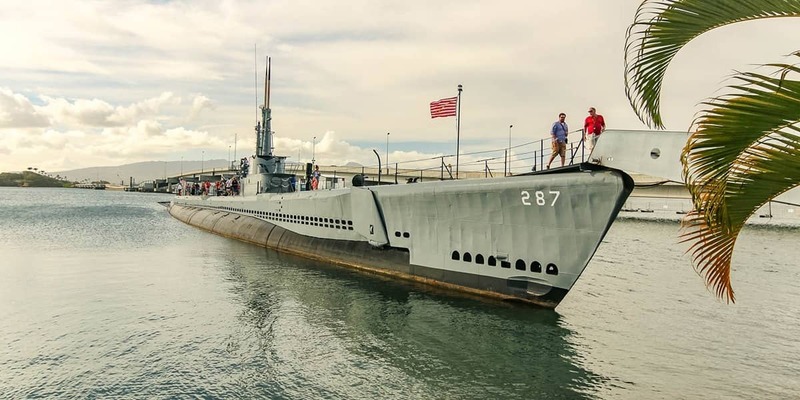 The USS Bowfin submarine and floating museum is another WW2 veteran that was launched December 7th 1942 – exactly one year after the Japanese attack and was dubbed the “Pearl Harbor Avenger”. The Bowfin and crew would go on to sink some 54 enemy ships and earn several Presidential Citations. Located within walking distance of the Pearl Harbor Visitor Center, the submarine can be boarded and toured by visitors. The nearby Submarine Museum and Submarine Memorial pays tribute to the 52 submarines and 3,600 crewmen lost in the Pacific during the war. The Pearl Harbor Aviation Museum, also at Ford Island, houses a wide array of aircraft that were pivotal in America’s winning of the war in the Pacific. From the P-40 Flying Tigers used in island to island fighting to the B-24B bomber like those of the Doolittle Raid that bombed Tokyo less than 5 months after the Pearl Harbor attack, these two giant historic hangers, both survivors that bear the scars of the Japanese attack, house nearly 120,000 square feet of aircraft used before, during and after the war. 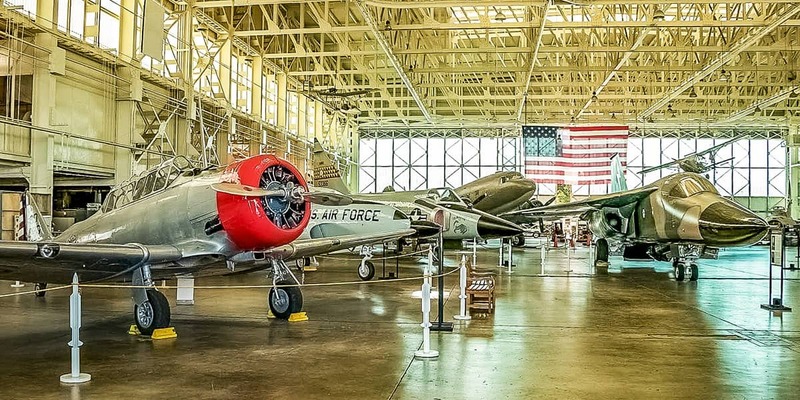 Along with military helicopters, jet aircraft, restoration projects and flight simulators, the Pearl Harbor Aviation Museum is a fascinating look into America’s wartime past! Take a private tour while in Hawaii. Oahu private tours are the way to see it all on your own time and pickup place. Explore more with a private guide. Are You Staying On Maui, Kauai or Big Island? 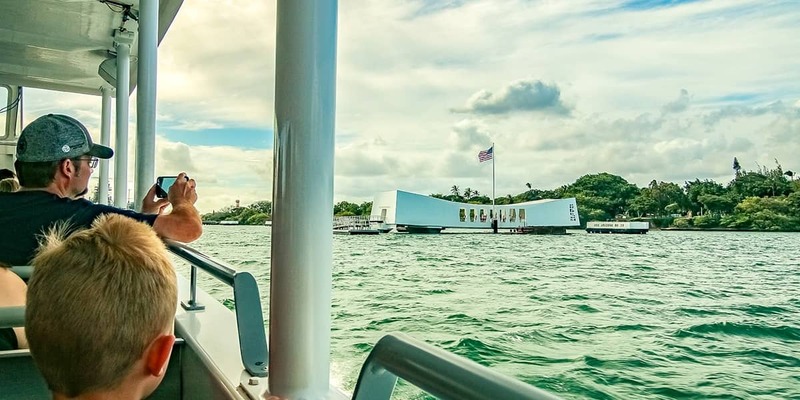 Visiting Pearl Harbor, Hawaiiʻs top visitor attraction, is now easier than ever with our inter-island packages. Take a Pearl Harbor Tour from Maui, Kauai or the Big Island of Hawaii with an expert guide that includes flights, airport pickup, and return. We will even make arrangements to hold your bags and go onto the next island, so there is no excuse not to visit Pearl Harbor. How long does it take to see Pearl Harbor? You’ll only need a day to historic Pearl Harbor. 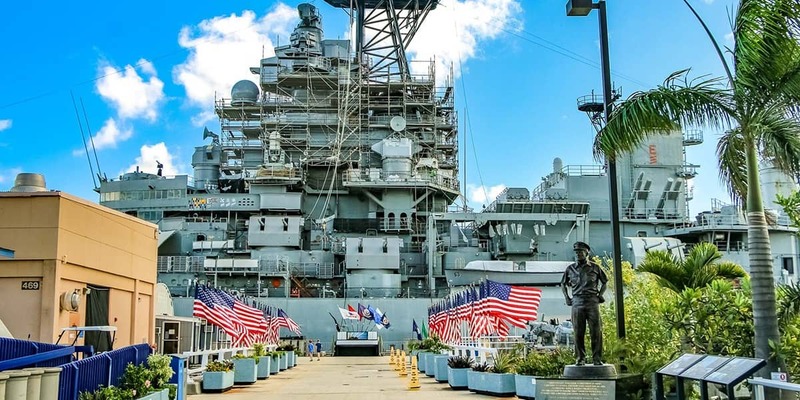 The total length of your visit will depend on how many of the five historic sites (the Visitor Center, the USS Arizona Memorial, the USS Missouri, the USS Bowfin Submarine and Park, and the Pacific Aviation Museum) you plan on seeing. Most guided tours take between four to six hours. Parking and admission to the Pearl Harbor Visitor Center is free. 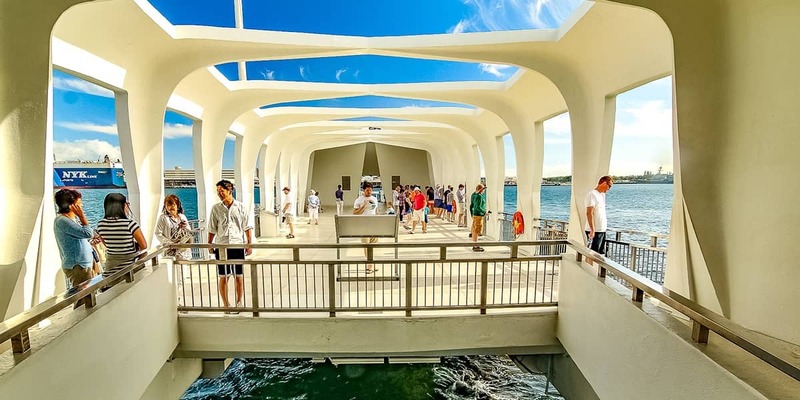 Admission to the USS Arizona Memorial is also free. However the remaining sites require visitors to purchase tickets for admission. Where did the name Pearl Harbor come from? Early Hawaiians would call the area Wai Momi which literally translates to “water of pearl.” At that time, Pearl Harbor was known for the abundance of pearls within its waters. What can I expect at Pearl Harbor? A visit to Pearl Harbor is sombering, but powerful experience. Visitors can expect to learn about the history of the attack on Pearl Harbor on December 7th, 1941 through museum exhibits, memorials, a documentary, and more. When was the Arizona Memorial built? The Arizona Memorial was dedicated on May 30th, 1962 after nearly two years of construction. Are there things for kids to do at Pearl Harbor?